"My iPhone 7 suddenly got stuck in recovery mode. I tried to restore it with iTunes but it can't connect to iTunes. Is there any way to fix iPhone 7 stuck in recovery mode without iTunes?" Suddenly, you iPhone 7 stuck in Recovery Loop for no reasons? Intentionally put your iPhone into recovery mode to solve a problem? Trying to jailbreak your new red iPhone 7 but unfortunately stuck on connect to iTunes screen? Apple offers users a way to fix iPhone stuck in recovery mode by restoring with iTunes but this may not permanently fix this problem and many users failed to connect to iTunes. Don't worry, here we got 2 reliable ways for you to get iPhone 7/7Plus out of recovery mode without iTunes (Restore). 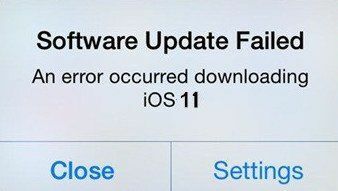 Most iPhones get stuck in recovery mode due to software corruption. Tenorshare iCareFone is an comprehensive iOS care and fix tool that can fix iPhone 7/7Plus stuck on connect to iTunes screen with 1 click. No need iTunes, no data loss. Run Tenorshare iCareFone and connect your iPhone to your computer via a USB cable. Select "Fix iOS Stuck" section on the menu. Click the button "Exit Recovery Mode" and wait for around 15 seconds for the device to boot up from the stuck. After the rebooting process, your iOS Device is already out of recovery mode. Tiny Umbrella is a program that backs up your iOS firmware SHSH blobs. It is usually used for saving SHSHs blobs and downgrading to older iOS versions, but also helps you bring your iOS devices. Compared to Tenorshare iCareFone, it is a little complete to use and there is no guarantee that you definitely won't lose your iPhone data during this process. Note: If you unfortunately have important data loss during this process. Tenorshare UltData is able to get your lost data back. Download Tiny Umbrella and connect it to the computer using your iPhone USB cable while it is still stuck in recovery mode. Open Tiny Umbrella and wait until the tool recognizes your iPhone. Once the software has recognized your iPhone is in recovery mode, click on the Exit Recovery button in TinyUmbrella. This will kick your iPhone out of recovery mode. After you follow the above listed steps, your iPhone will exit recovery mode and will boot up normally. 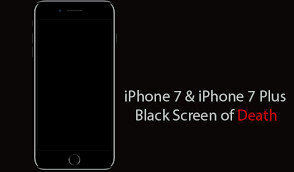 So, we have discussed how to fix iPhone 7/7 Plus stuck in recovery mode in 2 methods. Choose the one you preferred and get your iPhone back to normal instantly. If you have other iPhone 7 problems, you can refer to Tenorshare ReiBoot (a free iOS repair tool) for help as well.